For the last ten years, men have been putting down the razor throughout November in light of No-Shave November to raise awareness for men’s health issues such as prostate cancer, testicular cancer, and men’s suicide. While No-Shave November, also known as Movember, focuses on beards and mustaches, there’s room for women in this monthly celebration, too. If you hear a faint clicking noise, it’s the sound of millions of razors hitting the floor this month. No-Shave November encourages people to give their shaving budget to the efforts of groundbreaking cancer research. 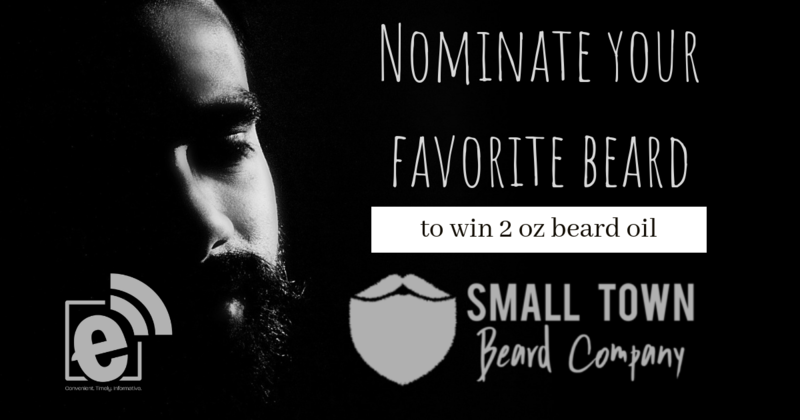 We didn’t want to miss out, so we’ve partnered up with Small Town Beard Company in Paris, Texas, to offer one lucky winner a 2oz bottle of handcrafted beard oil… you’re going to need it! You can choose the scent of your choice. Use the post below to enter!